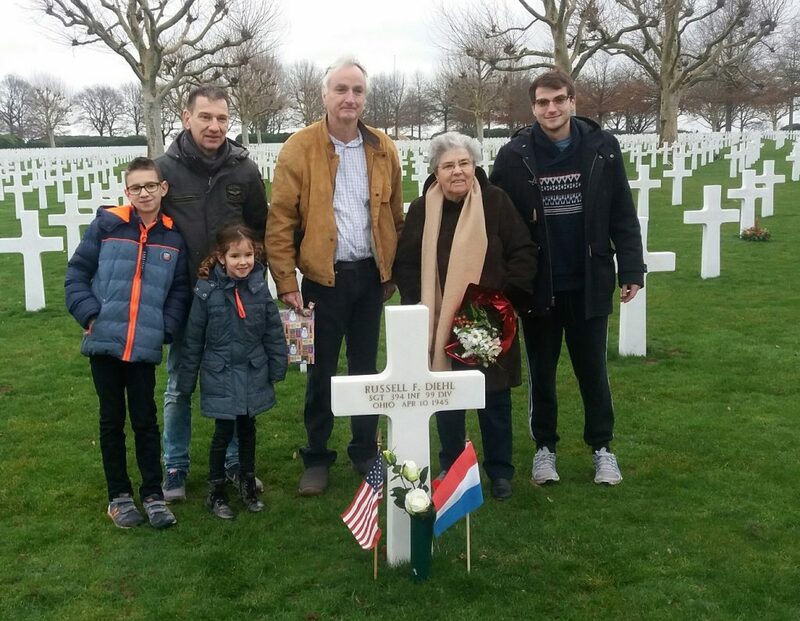 The American Cemetery is situated along the State Highway Maastricht-Vaals in the Eijsden-Margraten Municipality in the Netherlands. It is one of the biggest cemeteries in the world the only one in The Netherlands. No less than 8,301 American liberators have been buried here. The white marble crosses and David’s stars remind us of the solders -often young- who gave their lives for our freedom during World War ll. The cemetery receives some 250,000 visitors each year. The way the crosses are placed and the location in a beautifully sloping landscape all add to the special atmosphere of this cemetery. 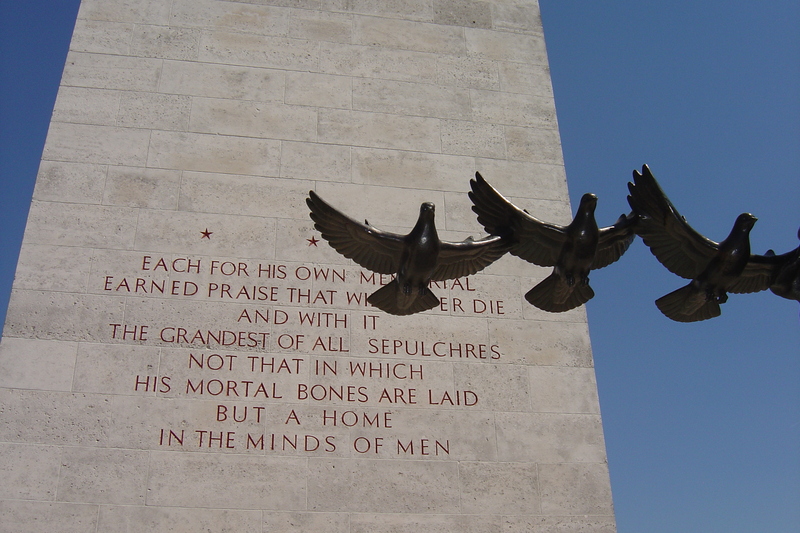 The names of 1,722 missing army- and air-force servicemen have been engraved in the marble walls of the Square of Honor. A rosette next to a name implies that the mortal remains of the deceased liberator have since then been found. At the cemetery many of the graves have flowers that were placed by people who have adopted one or more graves and thus want to show their gratitude to the fallen liberators and their next of kin. With regular intervals the carillon plays the American and Dutch national anthems. 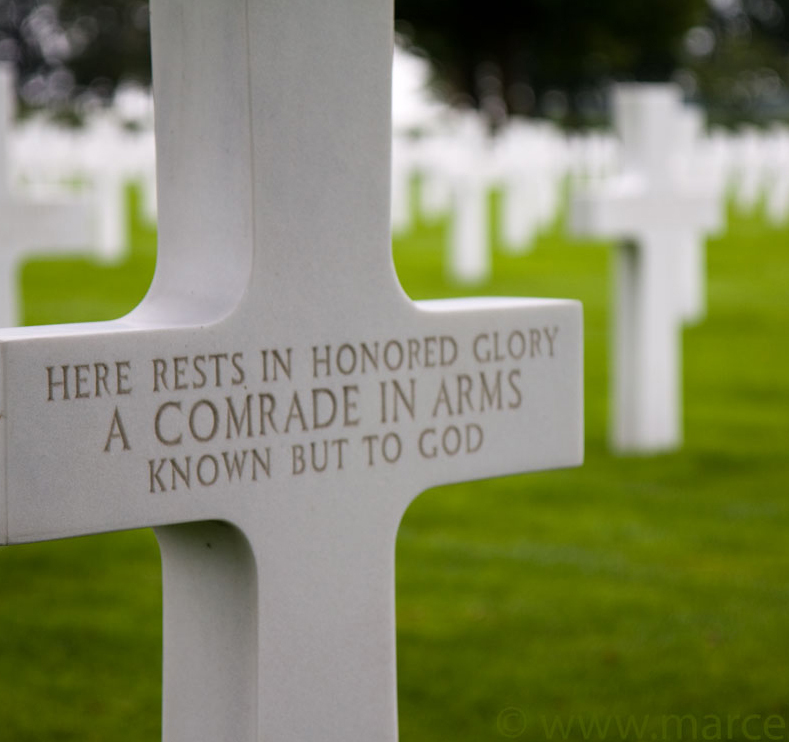 All in all a field of honor well worth a visit. For a more complete historical description of the realization of this cemetery we kindly refer to the publications “Crosses in the Wind” (can be ordered at our own webshop) and “From Farmland to Soldier’s Cemetery” (can be ordered at the www.akkersvanmargraten.nl website.